We met Vincent on Facebook after he shared some beautiful photos of his Smoothie build. My name is Vincent Lo, AKA VLO. Somehow the whole VLO thing got me into the VELO things. I have Midwest/Southern roots, and lived in San Francisco for about 6 years. Currently, I am living in Orange County, California. What kind of riding do you do ? If you have one, what is your favorite ride route? 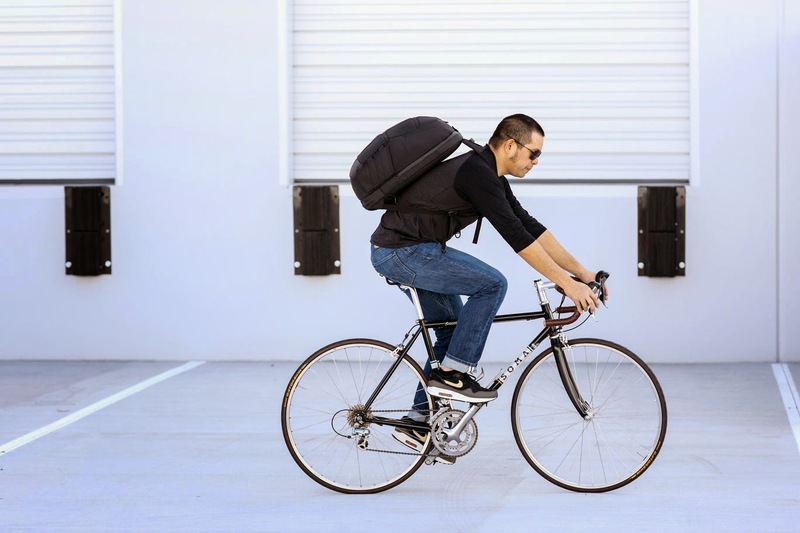 : On the weekdays, I commute to work about 30 miles a day, 15 miles each way. On the weekends, I will ride with my local bike shop on some club rides or with some friends on more remote rides. I love riding in the city/metropolitan areas like LA, where there are a lot of cars and obstacles that you have to be aware of and dodge to make it to your destination. Keeps me focused and my senses heightened. What types of bikes have you owned or still have? I currently have 5 ridable bikes, and probably another 5 frames and parts that I have yet to build up. Top 3 are 2014 SOMA Smoothie Shimano 105, 1987 Panasonic DX-5000 Shimano 600, 2010 Mercier Kilo WT. I have a high-end carbon bike too, but my true passion is in steel bikes. 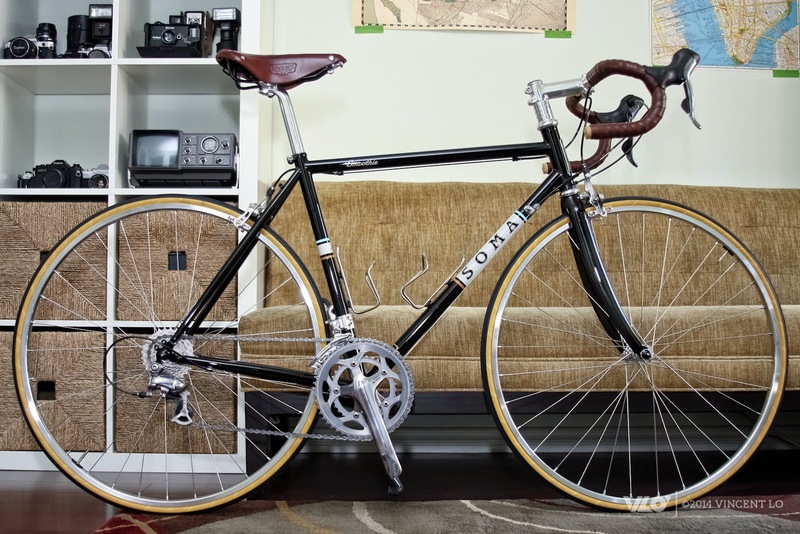 My favorite is the SOMA Smoothie because it's fun to ride, comfortable, and handsome. What made you choose a Smoothie and why did you custom build it as you did? What started out as building a low cost, do-it-all, everyday commuter from random parts and take-off's from my other builds, this SOMA Smoothie quickly became a pet project after seeing how beautiful and well built the frame was. I couldn't let it be any ordinary commuter anymore (i.e. one that I would ride everyday, to and from work, lock up at poles, get beat up and scraped, and risk it getting stolen). While keeping the “do-it-all” attitude, it be came a capable, agile boy racer that would tear through urban streets and tackle the highest mountains. The build pays homage to the city of SF, from which the SOMA brand originates from, and my first destination in my California life. 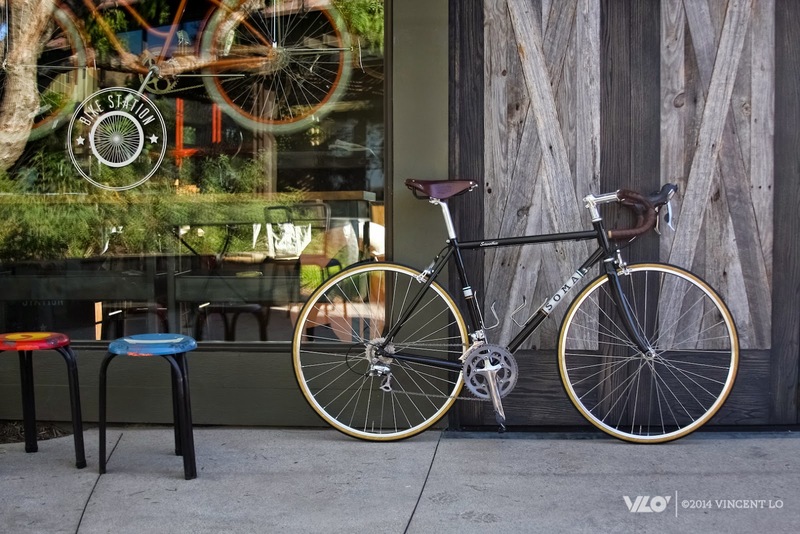 Like the city, which has an eclectic design and architecture fusing Victorian and modern eras, this bike combines the look of the golden years of cycling with modern amenities and comfort. So you are a graphic designer and you obviously do some photography. What are some of the more interesting creative projects (professional or personal) that you are working on? By day, I am a graphic designer for a "black business bag" company, and by night, I take on cool random freelance projects (many of which I cannot mention at the moment). 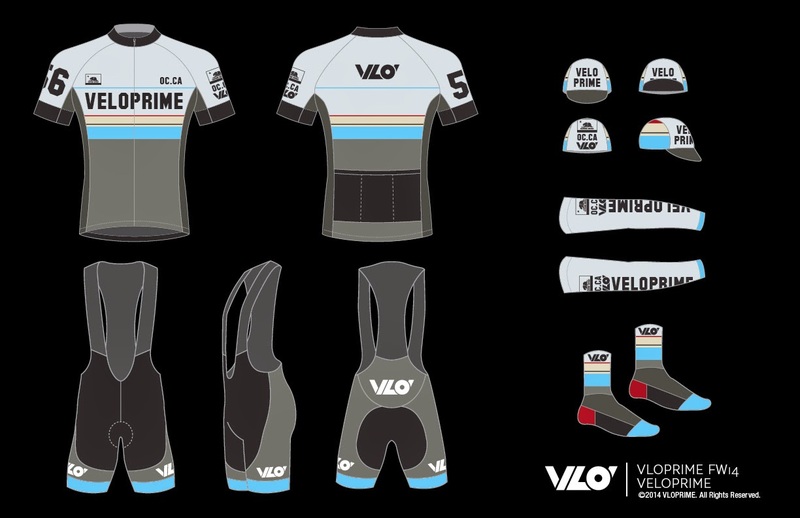 I am also trying to start my brand of cycling jerseys and accessories, which I am calling VELOPRIME. Still seeking the big adventure in 2015. Last year we did the 4-day hike on the Inca Trail in Peru. We'll see if we can top that this year. Sneakers. It's a bad addiction. I have a continuously growing collection of retro runners, Air Jordan's, Air Max, Dunks, all that good stuff. If money isn't spent on bikes, it's on shoes.